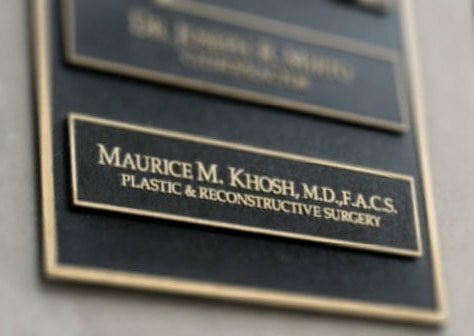 Dr. Maurice Khosh is committed to staying at the forefront of his field. 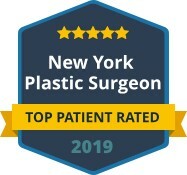 When it comes to reversing the signs of aging with non-surgical fillers, he seeks the latest and most proven products on the market. Our state-of-the-art facility in New York proudly offers Allergen’s newest filler, Juvederm Vollure XC. This exclusive facial filler formula is designed to treat severe wrinkles in the lower face, including unwanted nasolabial folds. When choosing Dr. Khosh for your facial rejuvenation, you can expect to get a maximum return out of your cosmetic investment. He is a dual board certified plastic surgeon with elite skill and training. When it comes to choosing and placing fillers in the face, he settles for nothing less than a natural, balanced and beautiful outcome. Juvederm Vollure XC is FDA approved for the treatment of nasolabial folds, also referred to as the “parenthesis” of your lower face. Juvederm Vollure XC can gently restore a more youthful contour in this area by flawlessly smoothing out deep lines and wrinkles. This hyaluronic acid filler uses Allergan’s proprietary VYCROSS® technology, which means it can merge different molecular weights of hyaluronic acid for better, more lasting results. What sets this filler product apart? Juvederm Vollure XC is composed of a revolutionary gel formula that offers variable consistency, its combination of firmness and fluidity allows this filler product to mold effectively and seamlessly when filling in moderate to severe wrinkles around the mouth and nose. Juvederm Vollure XC is the longest lasting hyaluronic acid filler on the market, with results lasting up to 18 months! It is truly the first of its kind, with the ability to provide sustainable fullness and natural contour on your deepest set wrinkles and lines. Is Juvederm Vollure XC right for you? Dr. Khosh welcomes the opportunity to explain your treatment options in non-surgical rejuvenation. We offer a full line of filler products, and Dr. Khosh will chose the most appropriate injectable for your unique aging concerns. 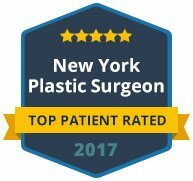 To learn more about Juvederm Vollure XC or to schedule your nasolabial fold treatment in New York, please contact our office today.